2. 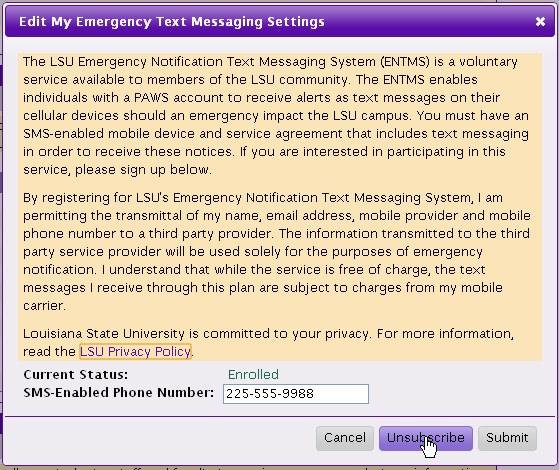 Select Campus Community | Emergency Text Message. 3. Scroll down the page to My Emergency Text Messaging and click Edit. 4. 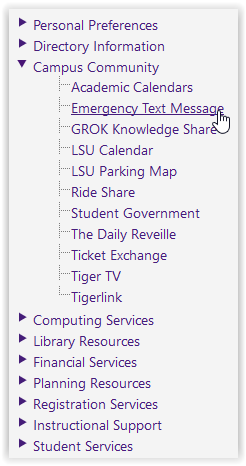 The Edit My Emergency Text Messaging Settings window will appear; click Unsubscribe.